YanAnga wishes to contribute to the fight against school dropout and social inequalities in the Souss-Massa region. We thus offered tutoring in foreign languages (French, English and Spanish) and edutainment activities (theatrical activities, drawing activities, and plastic art etc. ), in partnership with local associations and cultural centers of the target localities. Practically, our purpose was to encourage children to develop a spirit of curiosity, an openmindedeness and a sense of discovery while developing their language skills (acquisition of a 500 words vocabulary in each studied language). 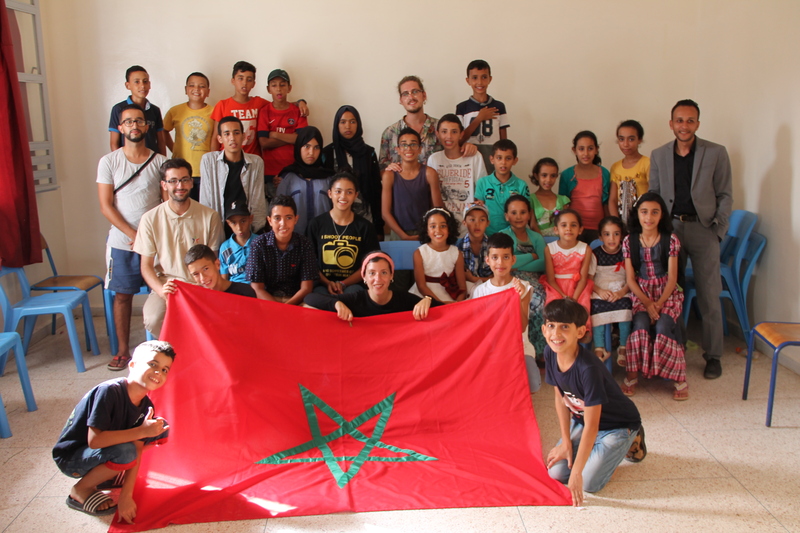 It is a fundamental element for the future of Morocco as education is at the very foundation of every society ; it is one of the primary conditions of economic, social, and human progress. WHY DO WE CONDUCT THIS KIND OF PROJECT ? YanAnga members all share deeply humanist values of helping, sharing and respect. In this regard, as accident of birth was favourable to us, bringing support to those who didn’t get the same chance is a way of showing gratitude. If we put aside Tiznit city, people of the localities we target for our projects are mostly farmers and sustain themselves thanks to a rudimentary agriculture (growing barley, goat farming etc.). The Souss-Massa region is known for its argan trees. Unfortunately, this resource is not exploited in a suitable way to generate stable income for the benefit of the local population, who lives largely in difficulty. Such an economic situation inevitably takes its toll on education, which has become a major social and political issue for rural communes. We thus observe a high rate of school dropout, particularly among girls. Besides, even when they are schooled, children from modest backgrounds have a lag which is difficult to make up compared to the most well-off children in the population. The situation is all the more serious that it is all the Moroccan education system that is hardly efficient, particularly regarding the teaching of modern foreign languages. Proof of this is that 400 000 pupils drop out of school each year, and upon 1000 pupils who enroll for the first time in primary education, only 620 reach 6th grade. – To promote children’s education and development (providing school materials, foreign language courses, edutainment activities, etc.). – To contribute to the well-being and the fulfilment of these localities’ populations. 13 Volunteers from three different countries (Spain, France and Morocco). More than 1200 people affected by this project.